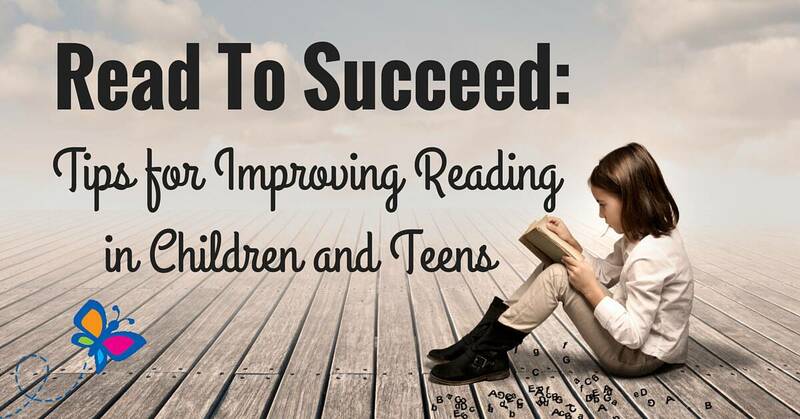 Improve Grades & Confidence By Helping Children To Improve Their Reading. Reading skills are essential to learning all other subjects taught in school. The better the reading skills children have and the earlier they have them determines how rapidly and how well they will achieve in school. Failure to be able to read at grade level by 8 years old is predictive of future learning and behavior problems. The first teacher any child has is his or her parent. Children develop language skills by listening to and mimicking their parents. When children are born they have the capability of producing any sound made in any language spoken in the world. During the early years, they hear the sounds and make the sounds that make-up the language spoken in their culture. The more time parents spend talking with their child the richer the language development of that child. As children begin to say their first words, feedback from those around them help them to learn the meaning of the words and begin to use them to get things they want and to please those around them. They gradually learn how to put them together to form phrases and later sentences. Thus, they gradually learn how to speak and listen with fluency and understanding. The process of reading and writing is simply “talking on paper.” The only difference is that written symbols are used rather than sounds. The child must learn the sounds letters and combination of letters make and how they string together to form words. That is what is called decoding. Once a child learns to decode they can understand communication through written language based on the skills developed through their development of oral language. Just as parents should spend time each day talking to and with their young child, they should also spend some time each day reading to their young child. This spurs interest in books and as children become toddlers and preschoolers who want to imitate their parents doing all kinds of things, reading will become one of them. Parents need to read in a manner that generates enthusiasm and curiosity. They also need to talk with the child about what they are reading to promote in depth comprehension. Reading time should be fun as well as a time for bonding and learning. The Read-Aloud Handbook has been around for decades and is a must for parents who want to read to their kids. For suggestions on what to read to children at various age levels we suggest What to Read When: The Books and Stories to Read with Your Child–and All the Best Times to Read Them. Once your child can read, reading time shifts to listening to the child read and taking turns reading with them. Parents should continue to talk with the child about what is being read. If you want more suggestions on how to help your child improve reading comprehension we suggest 7 Keys to Comprehension: How to Help Your Kids Read It and Get It!. Once children are readers, get a library card or join a book club to increase the reading material available. Subscribe to a children’s magazine that is geared to the child’s interests and age level. You could start a book of the week for younger children and a book of the month club for older kids and teens where both parent and child read the same book and discuss it when they have both finished reading. Then do something fun (like going out for a meal) to celebrate as you decide on the next book. Check for reading programs provided by your local library. Find out if they have story time for younger children and summer reading programs for older children and teens. Many children are ready to begin reading as young as three or four while others may not be fully ready until six. Unless there is an underlying problem (speech/language delay, auditory or visual processing impairment or below average intelligence), children should begin developing decoding skills no later than six. My wife and I discovered that our daughter could read at the age of 3 when we noticed her reading signs as we were driving down the street. At first we thought she might just be recognizing things she saw when watching TV but when we checked by having her read some simple words with no picture clues, we were pleasantly surprised and found some materials we thought would help. We both spent some time with her fairly regularly working with the materials as a form of “fun time.” Before we knew it, she could sound out any word we presented and could read simple sentences. Each child may have a somewhat different timeline but usually by three or four children have mastered the sounds of language from speech and now are ready to apply this skill to reading. If you have been reading to your child up to now, they probably will want to learn to read on their own. Reading skill development starts by learning the letters of the alphabet. This can start sometime between 6 and 12 months. Treat the letters as you would a picture and start naming the pictures. By the time they are between 6 to 12 months old, you could start the letter of the week or letter of the month. Just like Sesame Street you can have, “this week/month is brought to you by the letter A. Continue to practice letter recognition off and on until your child is ready to move on to learning to read. Another important pre-reading skill is what is called phonemic awareness. This refers to the child’s recognition that when they say or hear a word, the word consists of a stream of separate sounds. Recent research has discovered that rhyming helps children develop phonemic awareness. So saying and better yet singing nursery rhymes and making up rhymes now and then are fun and again very helpful. By the way singing period has been found to help children learn to read. The two best books on how parents can help children learn to read are Teach Your Child to Read in Just Ten Minutes a Dayand Teach Your Child to Read in 100 Easy Lessons. They are probably best used together. There are many good software program you can buy such as various levels of Reader Rabbitthat have proven to be useful. In my opinion, the best program available is Click N READ. It uses an approach to reading instruction that is backed by years of research and has been in use by parents and teachers for over 6 years in 100 countries. It is very affordable when compared to the total cost of books and/or software programs you would need to try and accomplish the same goal. With its money back guarantee, I recommend this program to any parent of a child from 4 to 9 years old for reading instruction. You can be assured that you are purchasing the world’s most effective reading program because the research based phonics curriculum is designed by nationally recognized research professor Dr. J. Ron Nelson. All other learning to read programs are simply toys when compared to ClickN READ Phonics. This phonics program is designed for children as young as 4 years old learning to read English for the first time and children up to 9 years of age who are struggling to learn to read. Why Do Some Kids Have Difficulty Learning to Read? Some children have more than others learning to read. Some children are simply ready to read later than others. Some may be 6 before they are fully capable of learning to read. This is due to the fact that there are multiple skill necessary to learn to read and they each have their own developmental timeline which can vary greatly from one child to another and yet all (fast, medium, slow) are within normal limits. Some children may have what are known as specific learning disabilities such as problems with auditory or visual perception, delayed language development, impairment in working memory or processing speed. If your child is reading below grade level you should talk to your school and/or your child’s physician about getting a psycho-educational evaluation to determine if your child has learning disabilities. Some children may have a condition known as Dyslexia that will require a comprehensive reading program to provide the necessary support and instruction. Some children may be able to ready and able to read but have a learning style that is not in sync with the teaching methods used in their classroom. You can talk to your child’s teacher about possible supplemental instruction or tutoring. As a dyslexic myself and having worked with hundreds of children with dyslexia or reading problems, I know how frustrating it can be for a bright person to struggle with reading and spelling problems. The individual begins to feel like they are stupid or may lose interest or motivation for school. Some may develop depression or behavior problems as a result of reading problems. Research has shown that there in ONE effective approach to help struggling readers. Assuming the absence or remediation of the specific learning disabilities discussed above, the “cure” for dyslexia and reading problems is a reading program that is multi sensory (visual, auditory, kinesthetic, tactile) and employs intensive training based on phoneme awareness explicit phonics. The Orton-Gillingham method has long been recognized as the ‘gold standard” for remedial reading programs. I have seen kids get up to or above grade level in a matter of months using this approach. There are many programs available in the market place including home use programs and tutoring programs. The program that I recommend is based on the Orton-Gillingham method and is comprehensive, effective and affordable. The Reading Horizons at Home program is backed by years of research, is used by many school districts and uses a combination of online and written materials that are easy and fun to use. This program will improve the reading for anyone from 10 years to adult. It comes with a 60-day guarantee and when compared to other products and services on the market, it is extremely affordable. I personally recommend this program to parents to get for their child and to adults to get for themselves. A breakthrough interactive reading program has been specifically developed for helping older learners who struggle with reading skills. Reading Horizons has been used at High Schools and Community Colleges across the country for over thirty-years and is now available for use at home for a dramatically reduced price. This research based program increases the average students reading ability by three to five grade levels in less than six months. The Discover Intensive Phonics method is a revolutionary, direct and systematic approach to teaching phonics that enables students to increase reading grade levels quickly. It has been used in homes and schools across the country for over three decades. Utilizing a multisensory, Orton-Gillingham approach, this scientifically based program incorporates the tried and true teaching methods of teaching the 42 sounds of the Alphabet, five phonetic skills and two decoding skills. These three combine to dramatically increase ones ability to read English. Robert Myers, PhD is a clinical child psychologist with 30 years of experience working with children and teens with learning disabilities including reading problems and dyslexia. He earned his doctorate at the University of Southern California and currently is Assistant Clinical Professor of Psychiatry and Human Behavior at the UC Irvine School of Medicine. 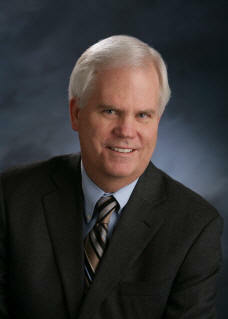 He is a member of the American Psychological Association and the Learning Disabilities Association of America. “Dr Bob” has provided practical information for parents as a radio talk show host and as editor of Child Development Institute’s website which reaches 3 million parents each year.